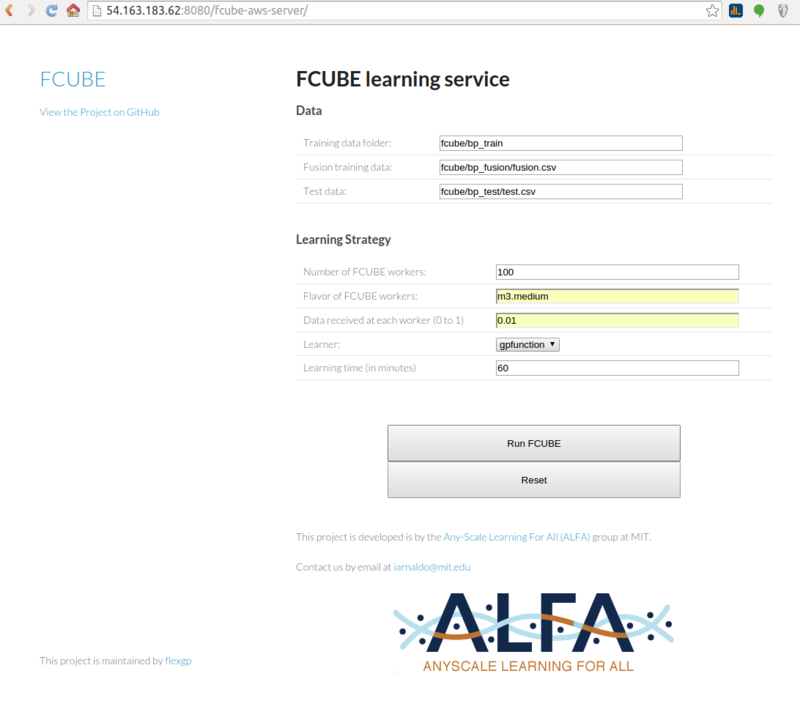 We provide a web interface to exploit the most common use case of FCUBE. 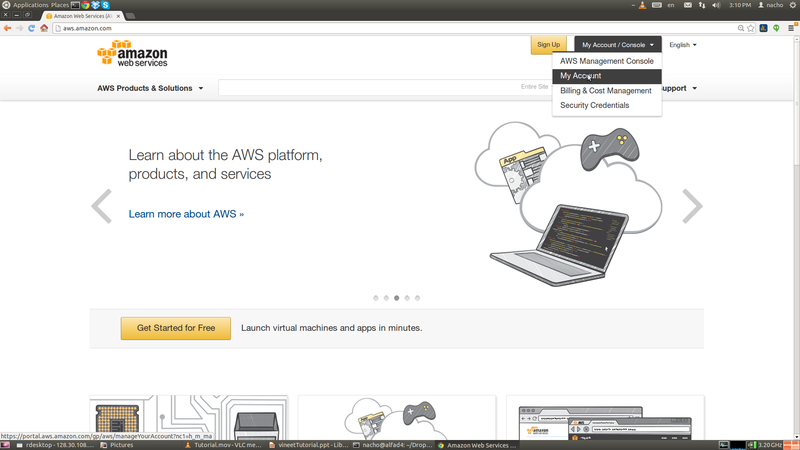 A preconfigured image released on Amazon EC2 contains all the code necessary to run FCUBE. To instantiate such image, the following steps are required. fcube-server-16 and the AMI is ami-38c6b550. Make sure that the port 8080 is open. Send the file credentials.csv to the FCUBE server. Note: the file credentials.csv contains an access key and a secret key and can only be downloaded from aws.amazon.com when the keys are first generated. Training data folder: the path to the S3 bucket and folder containing the training splits. Once the form has been filled, just click on "Run FCUBE"! Once all the models have been retrieved, click on "Fuse Models". You will be able to monitor the model fusion process, and to download the fused model.